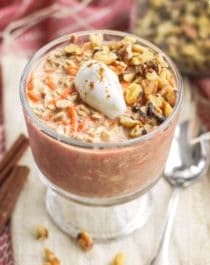 Healthy Carrot Cake Overnight Dessert Oats — it’s got the texture and healthfulness of oatmeal with flavor and essence of Carrot Cake. 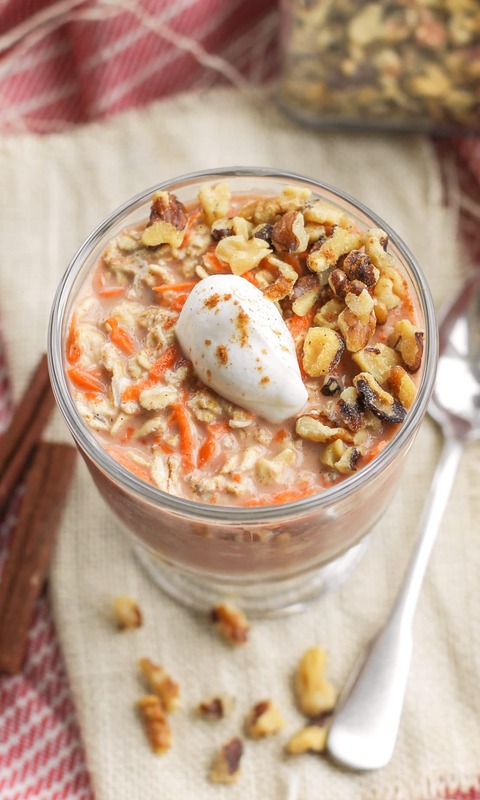 If you’re a Carrot Cake fan, this is pretty much a breakfast win-win! Skip the packaged storebought oatmeal that lacks flavor (and nutrients) and make oatmeal at home! 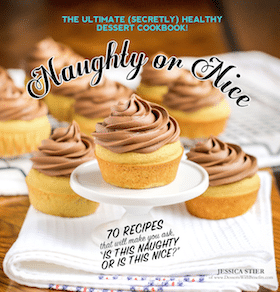 If you like Carrot Cake, then chances are, you’ll fall in love with this recipe. 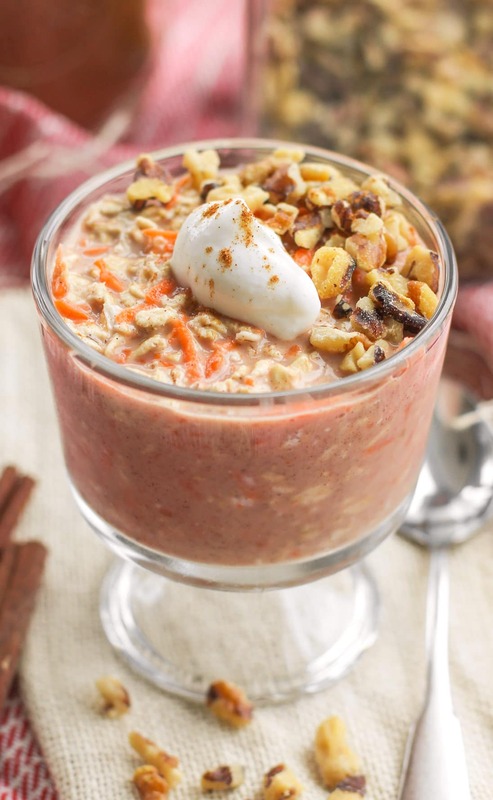 This oatmeal is full of spices, from cinnamon to ginger to nutmeg, and it’s sweet and full of freshly grated carrots. OH, AND GUESS WHAT?! It takes just a few minutes to prepare. 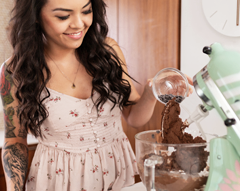 All you gotta do is stir together a few ingredients and refrigerate it overnight. Next thing you know it’s morning and your breakfast is already made and ready to enjoy. 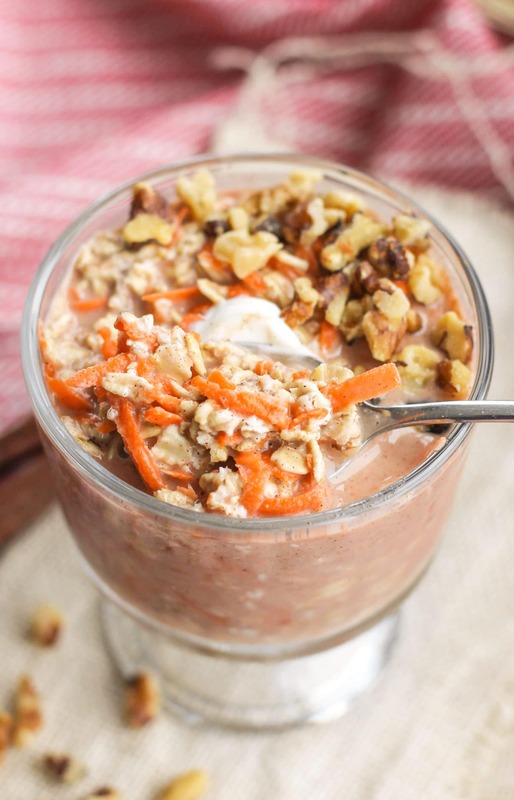 These Healthy Carrot Cake Overnight Dessert Oats are full of carrot cake flavor but they're refined sugar free, low fat, high protein, high fiber, gluten free, and vegan too! 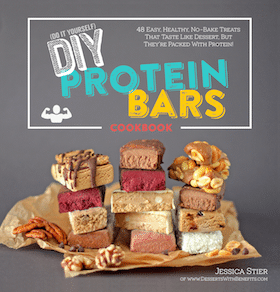 In a bowl, stir together the oats, cinnamon, ginger, nutmeg, sweetener and salt. Stir in the milk, vanilla and grated carrots. Cover and refrigerate overnight. Enjoy in the morning. Feel free to sprinkle on any of the topping options! I like to top my oats with a spoonful of Greek yogurt along with a sprinkle of crumbled walnuts. Breakfast doesn’t get any better than that. I’ve never been a huge fan of actual carrot cake, but if it’s oatmeal you know I’ll eat it. 😉 Those toppings wouldn’t be optional for me either!! Haha!